Yes, we discovered that cleaning day and fun actually can walk together. Well, at least when you are walking on the beach as you clean. On September 15th, the UXPALA team, in collaboration with other amazing organizations, volunteered for International Coastal Cleanup Day 2018 – a worldwide event, where volunteers of different communities from all over the world take action to collect trash from our coastlines. The event began more than 30 years ago organized by Ocean Conservancy together with local communities. Every year on the third Saturday of September, the event occurs with the main goal to collect and document trash along the coast in order to protect the environment. This year Ocean Conservancy reported that almost 800,000 volunteers from 155 different countries joined the cause and collected more than 10,000 tons of trash around the world. 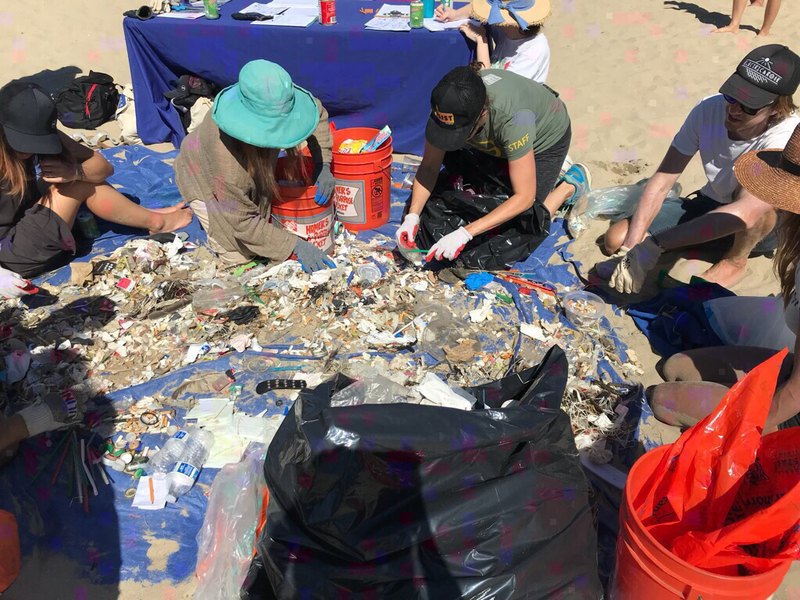 According to the California Coastal Commission, the statewide headcount was 53,073 volunteers, collecting 367 tons of trash from beaches, waterways, underwater, and inland. On this beautiful day, we could see smiles on everyone’s face; people just seemed happy to be there. Some were by themselves, some as a couple, others with friends or families, and everyone with the same objective: collect trash from the coastline, and have fun along the way. Among many laughs and great conversations, in less than 30 minutes we realized we had collected 6 cigarette butts, more than 45 little pieces of fragmented plastic, and 25 fragmented candy wrappers. According to the Ocean Conservancy report, the greatest number of items collected globally are cigarette butts and second greatest are food wrappers, and our data supported this report. An interesting or surprising aspect of the event was how much awareness it really seemed to create in those who were simply visiting the beach. For instance, as we were walking along the beach, a few beach goers came and deposited their trash into our bags, which raises the question, are there an adequate number of trash receptacles provided on the beach? Whether true or not, we can all do ourselves and our kids a favor: when going to the beach, bring something to collect your trash, preferably a paper bag, and just take your litter with you instead of leaving it for someone else to take care of. 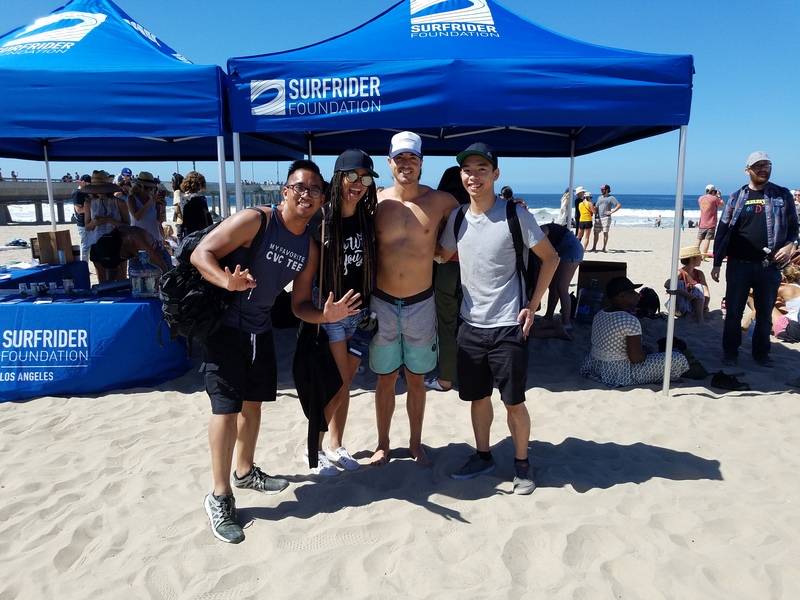 This event, which created awareness, fun and contritbution was organized by WeWork and Surfrider Foundation. They kept people engaged with many giveaways such as t-shirts, caps, water bottles, beach towels along with lots of reusable cleanup supplies. Also, tons of refreshments and food helped to keep people hydrated, energetic, and ready to clean. 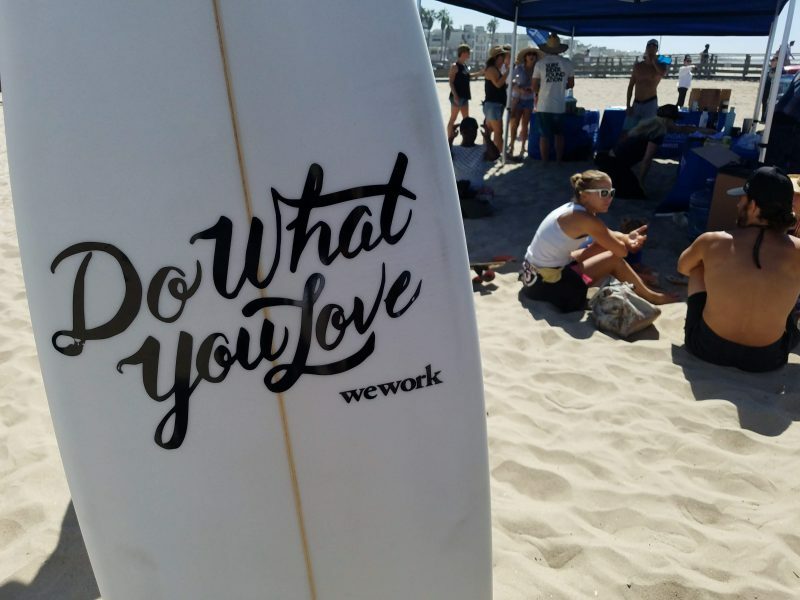 It also provided the opportunity to network with amazing people such as WeWork’s Senior Account Executive Ben Moody and Marketing and Events Manager Michelle Sanchez. Michele, who was also the main organizer of the event, did an excellent job putting together a group of passionate volunteers, all anxious to join the forces of the “world saviors.” It also allowed us (UXPALA) to begin to establish a partnership with WeWork. We also spoke with Katiana, the Volunteer Coordinator and Social Media Manager from Surfrider LA Channel, who also had organized events and gathered volunteers, not only for Coastal Cleanup Day, but also an array of other events. While Coastal Cleanup is a one-day-a-year event, Surfride never stops organizing year-round events, all with the sole intention of providing and maintaining a clean and safe ocean. Just so you understand their commitment to their mission, a day after the Coast Cleanup, Surfrider was back on the beach for their monthly cleanup day called A Sunset Point Cleanup + Happy Hour. On that note, we wrap it up by expressing that we feel extremely happy to have participated in the Beach Cleanup Day and are looking forward to the next time we, once again, collaborate with organizations who are changing and shaping the world in a good way. Meanwhile, we realize we can’t do it all, but we can, at the very least, keep cleaning our side of the street by organizing events that exposing the dangers of bad actions. That said, the title of our World Usability Day 2018 is “Consequences – Designs of the Dark (UX) Side.” So, don’t wait to do your part, get your ticket here and come along with UXPALA to have more fun while expanding your power to impact the world.